Discount brokerage TD Ameritrade is buying rival Scottrade in a deal worth $4 billion. The move, announced Monday by both companies, will allow TD Ameritrade (AMTD) to quadruple the size of its branch network, to about 450. Scottrade is significantly smaller in terms of client accounts and assets, but it has more branches -- about 500 to TD Ameritrade's 100. TD Ameritrade plans to close about 150 of the combined branches, according to an investor presentation. "That doesn't necessarily mean fewer investment consultants. It just means fewer buildings," said TD Ameritrade spokeswoman Kim Hillyer. She said that the company has targeted 500 to 1,000 jobs that may be cut as a result of the combination. 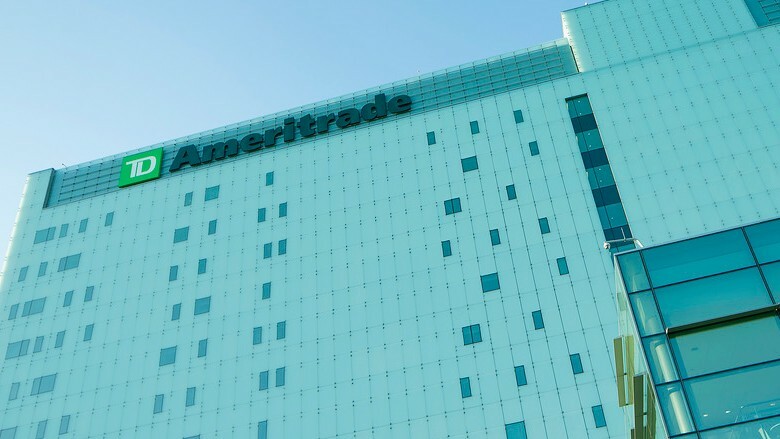 TD Ameritrade has about 6,000 employees, while Scottrade has about 3,700. TD Ameritrade expects to save about $450 million a year from reduced spending on technology, advertising and operations. As part of the deal, TD Bank (TD), which already owns 42% of TD Ameritrade, will increase its stake in the combined discount broker. TD Ameritrade was formed in 2006 when Ameritrade purchased TD Waterhouse USA from TD Bank. TD Bank ended up with its current stake in the company as a result of that deal. Scottrade was founded in 1980 by CEO Rodger Riney. Riney, the face of the company, will join the board of TD Ameritrade, but will apparently not have an executive role in the combined company.